Kanger Dripbox — this is an entry-level mod that aims to offer the quickest and easiest access to RDA vaping. But is it any good? 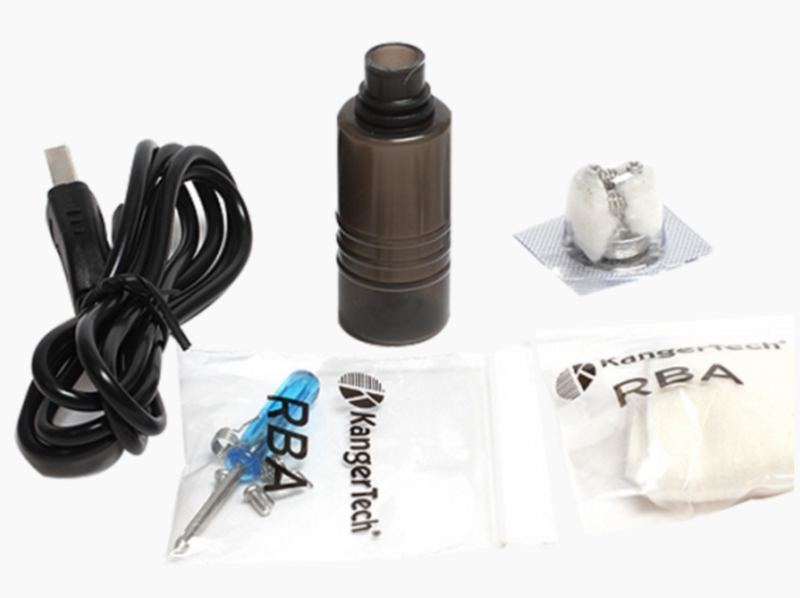 Read our Kanger Dripbox Review to find out! The Kanger Dripbox is a bit of an old-meets-new idea, with a twist. The Dripbox is an interesting proposition to be sure, but is it worth looking at for you all-day-vaping needs compared to, say, a more powerful box-mod and tank combination? First and foremost, this is a squonker. Yes, that is a funny word. But what it does is actually very useful, as it attempts to make dripping your juice in a rebuildable tank a thing of the past. 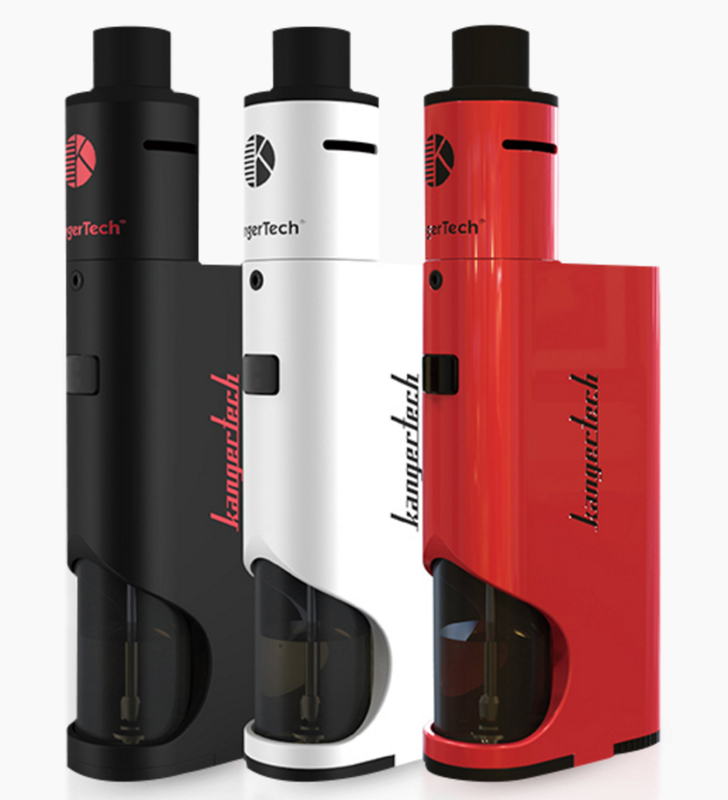 You see the Dripbox features a refillable tank, contained inside the mod, that delivers juice, via the 510 connection, into your tank. Thus negating the need to drip manually in through the drip tip. This is very handy, I admit. And the Dripbox is certainly proving popular with users and reviewers alike. Mostly because of how little this thing costs and the utility it delivers, but also because you can either use prebuilt coils or one’s you’ve made yourself. Flexibility is the order of the day here, clearly. But there are a few issues I ran into while testing the Dripbox, which I will outline in more detail below. As you’d expect from Kanger, the packaging used here is of very high quality. The box is decent and everything is laid out in a logical and manner. It DOES NOT come with a battery, so if you’re planing on using it right away YOU WILL need to buy one beforehand. And that’s about it. As I said, the box is well designed and everything fits in neatly. This is a big plus for two reasons: 1) a lot of mods come in a right mess, and 2) if you look after the mod well enough, it’s simple to re-pack it and sell it on second hand. The Kanger Dripbox is a pretty stripped down mod; there’s nothing fancy here. Just the mod, its squonk tank and the tank. That’s it — so you can pretty much juice up, switch on and vape. There is also NO display and NO control settings to speak of; just a power switch that activates the connection and turns the device on and off. The Dripbox outputs at a maximum of 60W. This is fixed too; you cannot adjust it — and it only manages full power on fully charged batteries. That means that as your battery degrades throughout the day so too does the wattage, meaning after several hours of use you could be down to like 20-30W or lower. This is about as stripped back a vaping experience as you can get without using a mech-mod, basically. And for some this will be a huge plus. Sadly, for me, though, I prefer to have more control over my vaping, so I can augment it throughout the day as I see fit, which is why, if you see me out and about, I’ll likely be using the UWELL Crown or Aspire TRITON 2. I like things simple. I don’t like getting my hands dirty, which is why I always go for setups like the Reuleaux RX200 and a good tank like the UWELL Crown over RDAs. I did really enjoy testing the Kanger Dripbox out though, and it will forever have a place on my desk for when I really want to white-box my office, or the batteries in my daily driver quit and require a re-charge. Set-up is super simple. Insert a battery, fill the squonk and juice your wick and you’re away. The bottom feeder tank holds 7ml of juice too, so you can fill it up in the morning and still have something left in the tank come 6pm, providing you aren’t hitting it like a crackhead all day long. The clouds and flavour are ENORMOUS, as you’d expect from an RDA tank powered along by a 60W mod, but you need to make sure you use the right juice — the higher the VG the better. The Dripbox has plenty of built in safety features as well, so you don’t have to balance the same concerns as those using mech-mods. It is a VERY raw vaping experience, though, and might not be suited to everybody’s tastes. 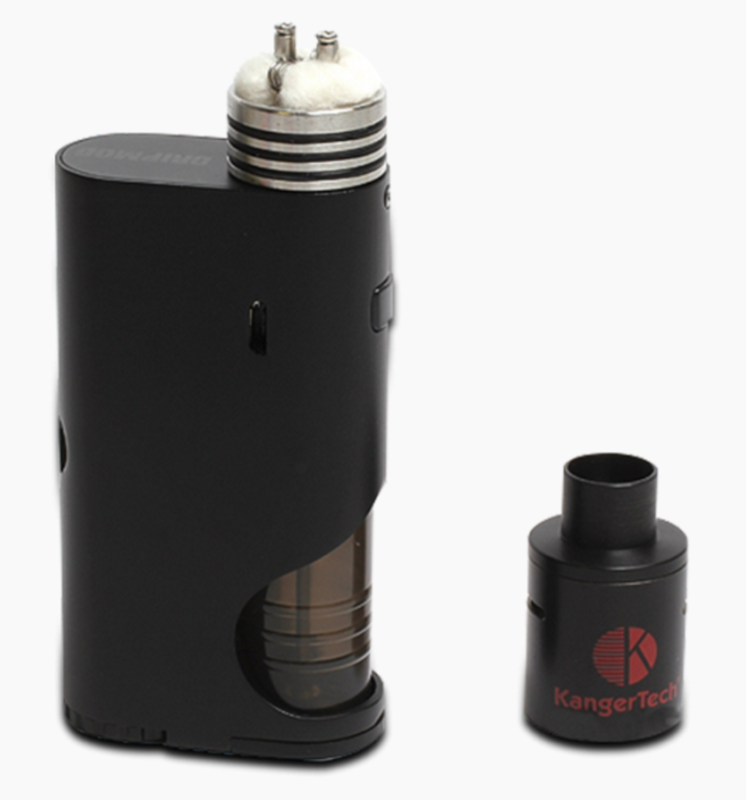 You can make your own coils, that’s part of the attraction here, or use pre-built ones from Kanger. The prebuilt RDA decks are rated at 0.2-ohm and the Kanthal A1 wire and cotton builds are tailored to work best with the Dripbox’s single wattage output. 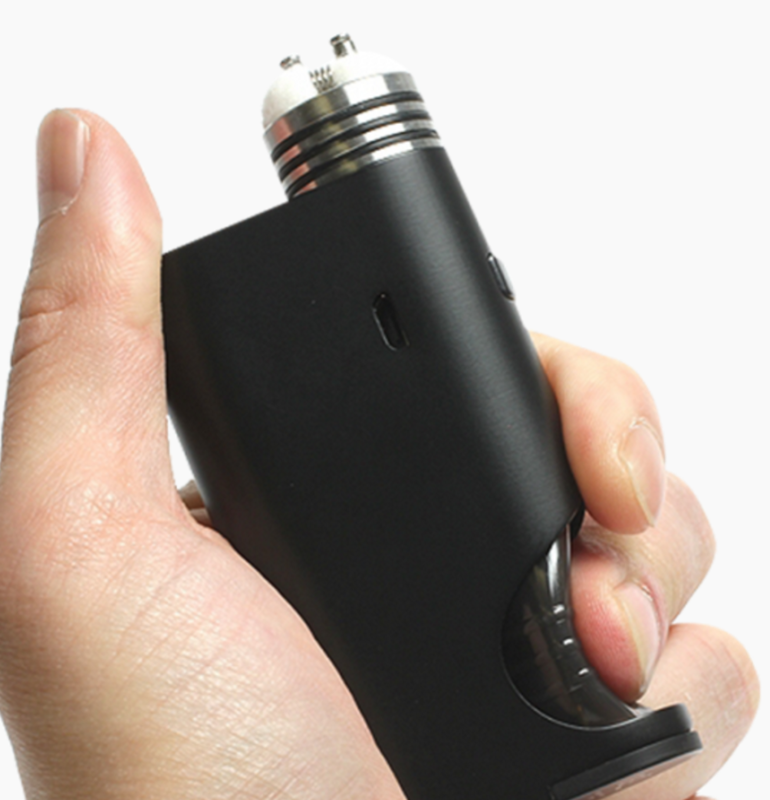 Also: you CANNOT use this RDA on other mods; the Squonk flow system will not allow it. What’s great about this is that novice users can get a proper RDA experience without all the usual technical wizardry that goes into building your own coils and correctly using a mech-mod. This is why Kanger built the Dripbox; it’s a means of giving the less experienced a purist vaping experience. It’s also quite a nice marketing hook as well. You will definitely want to prime the cotton prior to your first hit, even if you have fully filled the squonk compartment. This will ensure you don’t burn anything or get a dry hit right off the bat. You don’t need to do loads, just a few drops will suffice. I didn’t do this and had a coughing fit for about 30 minutes after my first hit. It wasn’t pleasant. So don’t make the same mistake I did. This is a very cheap mod. It’s also a very stripped down mod. I get the impression that Kanger want to sell this thing for as cheap as possible. In that regard the Dripbox is resounding success: it works and it costs hardly anything at all. But there are some issues you should be made aware of before buying this setup. The first is build quality, which isn’t great. I don’t know if this was my unit or something that affects all Dripbox mods, but the circular cap for the battery compartment just wouldn’t screw on all the way. It was impossible to get flush and always slightly protruded; this annoyed me intensely, as I like things to look neat. The second thing: this type of device WILL NOT suit everybody’s tastes. For instance: I personally would not use this as my daily driver; it’s too stripped down and limited for my personal tastes. I’ve also never really been that into building my own coils. However, my good buddy absolutely loves it as he’s ALL about building and stripped down, pure vaping experiences. Here you basically have a battery, a coil and your mouth. That’s it. The clouds are enormous, the vape hot and thick and flavourful. Like a kit car, the experience is raw, untouched and places you right in the thick of the action. And whether that’s appealing to you will depend entirely on your own personal tastes. For me, I’m more at home with the UWELL Crown. But that’s just me — so do not let that put you off from trying the unit out. Like other RDAs on the market, you do have to be careful when transporting the Dripbox, as it will leak in your pocket if tipped too much to one side, or held upside down for any amount of time. It also has a tendency to spit and fire microscopic hot balls of ejuice at the back of your throat when you least expect it — usually first thing in the morning when you’re half awake. Once you get used to the experience, though, I have to admit the Dripbox is a very compelling setup. Even more so when you consider Kanger supplies prebuilt decks, which mean you get a complete RDA experience with zero fuss. Set-up is incredibly simple and the flavour and clouds are HUGE, providing you’re using the correct juice. And here the less nicotine and PG the better! 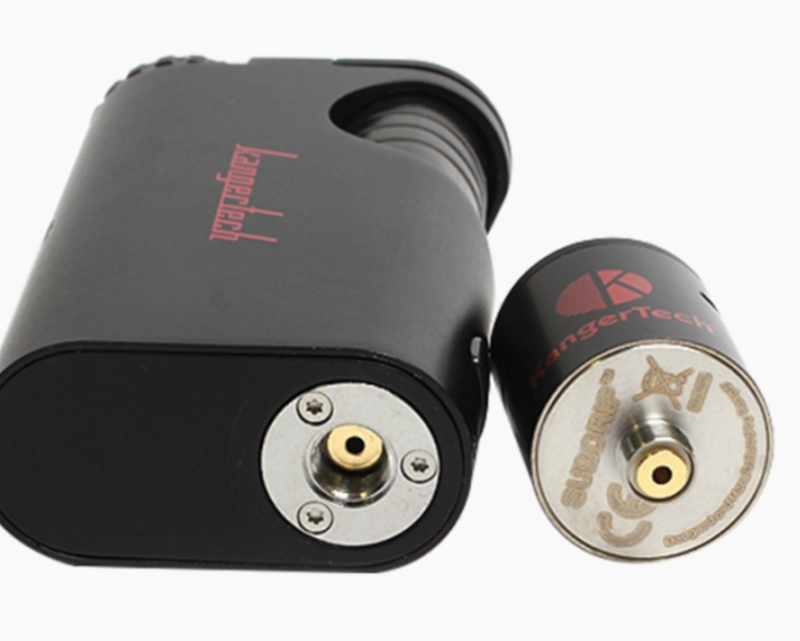 What Kanger has created here is VERY compelling and when you look around online you will see plenty of rave reviews. This is because the Dripbox does a hell of lot for very little outlay. It delivers excellent flavour and enormous clouds and, most important, a true RDA experience without any of the technicalities normally associated with such things. I like it. But I wouldn’t use one all day, every day. You might be different, though, and that’s great because this is what vaping is ALL about: choice and different experiences. Whether one is for you or not depends largely on your own personal preferences, but like most things in life you never truly know until you try something and find out. So if you’re interested in trying out an RDA but were put off by the technical logistics or doing so then the Kanger Dripbox is EXACTLY what you’ve been looking, as it offers a true RDA experience out the box, complete with built in safety features, so you don’t blow your face off, chasing clouds with the option to build you own decks or, if you’re not comfortable with that, inexpensive, pre-built coils supplied by Kanger. The Kanger Dripbox is THE device for the RDA-Curious out there.